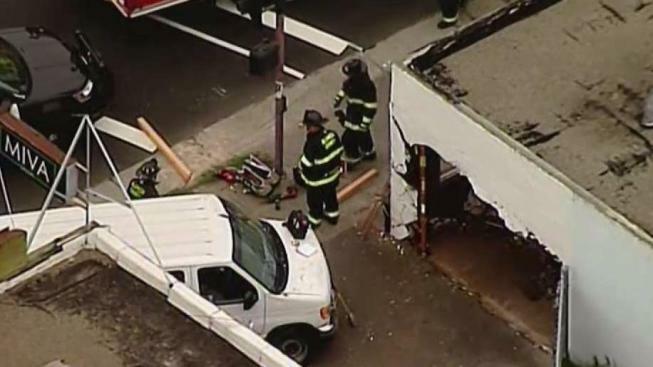 The driver of a van lost control and plowed into an auto shop in Hayward Tuesday morning, sending one person to the hospital, according to a fire official. The crash happened around 8 a.m. in the area of Mission Boulevard and Grove Way, the fire official said. Two people were riding in the van when it smashed through a window at the shop, according to the fire official. One person riding in the van was transported to Eden Medical Center. Footage from the scene revealed a large hole in the side of the building, resulting in moderate damage to the business, the fire official said. Police added that a vehicle inside the shop was also hit by the van.